The other week I wrote a personal trend for a Dutch online store where I talk about a different way of use and the shape in furniture and accessories. With a new and beautiful shaped lamp at home I took the opportunity to look for some smaller furniture pieces, or a small table to use in combination and create a new corner. With the huge amount of already existing furniture and seeing what brands and designers continue to bring on the market not an easy task. I receive regularly updates about new releases in my inbox and styled pictures that trigger my imagination certainly help to want me to find out more about a brand or product. If you are a brand that sent out press releases I would strongly recommend you to add a picture of the product you write about in that same email.... I don't know about others but I certainly do not always have the time to click on links to find out what it is about. Today some random pictures with small side tables that among other hit my inbox lately. Starting with the one pictured above, 'Curl" by Skandiform. 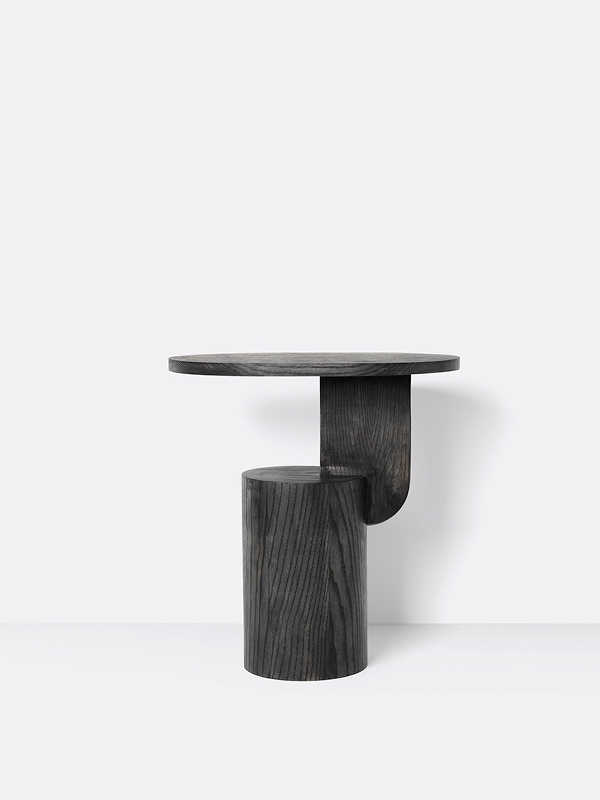 I really liked the styling and the shape of the table, although at the moment light ash not really fits the style I have in mind this picture made me curious enough to visit the website. 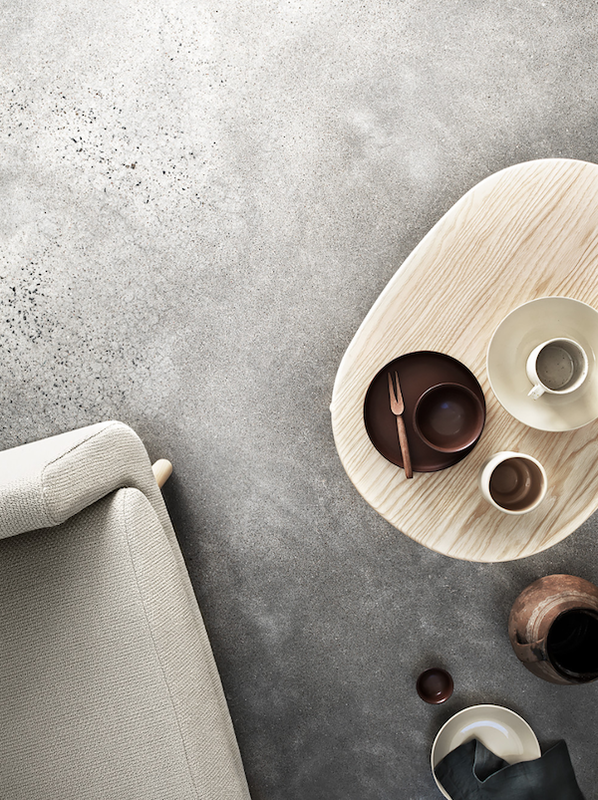 Side table Hommage by Matti Carlsson is made of massive smoked oak, letting the round circle shape of its legs act as a focal point. The wood turned legs adds a pattern to the tabletop surface, and the darkening process of the wood creates a warm depth of colour in the wood, also available in natural oak. 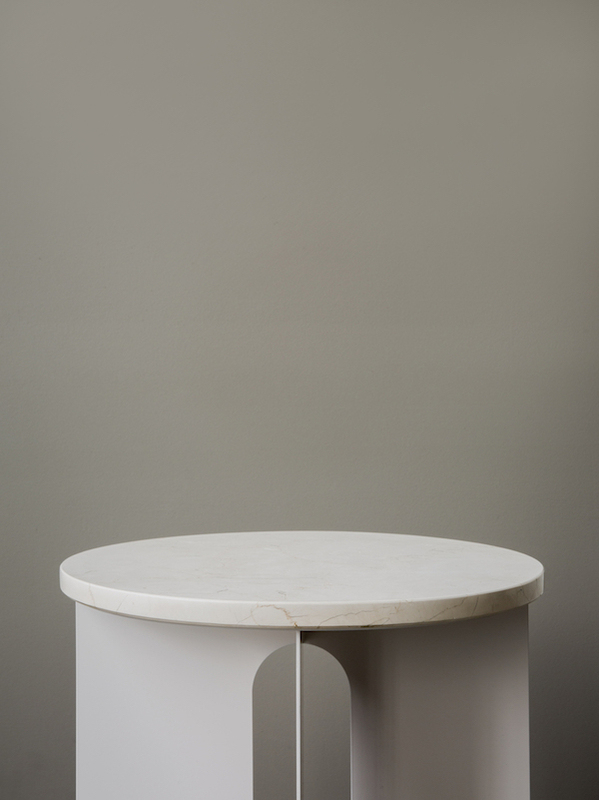 Beautiful minimal Androgyne Side Table by Danielle Siggerud originally for the Menu Cafe totally fit my ideas of mixing materials, and marble is still growing on me. I showed some autumn/winter news of Menu, including this table, on the blog before and it is still on my mind. Different combinations are available, have a look at the Menu website. 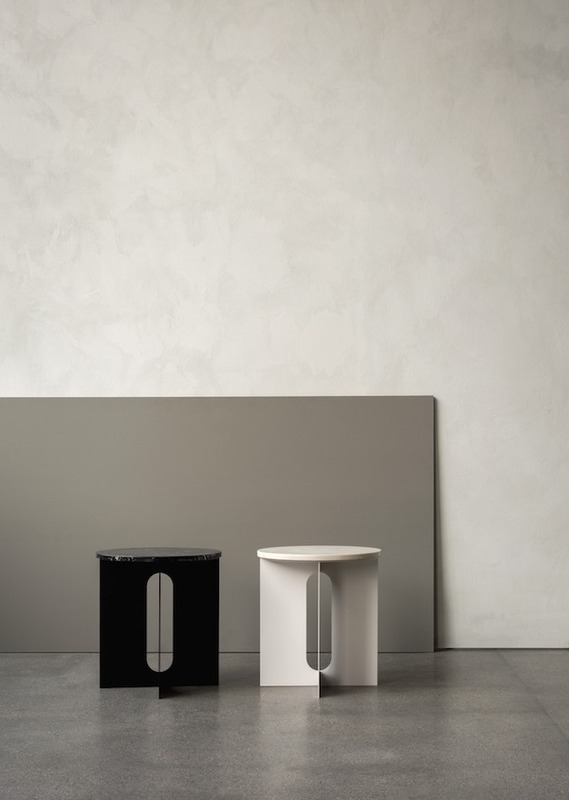 This sturdy and sculptural side table by Chinese designer Mario Tsai for Ferm Living probably fits best the 'trends' of my article, it's almost a piece of art for your home. 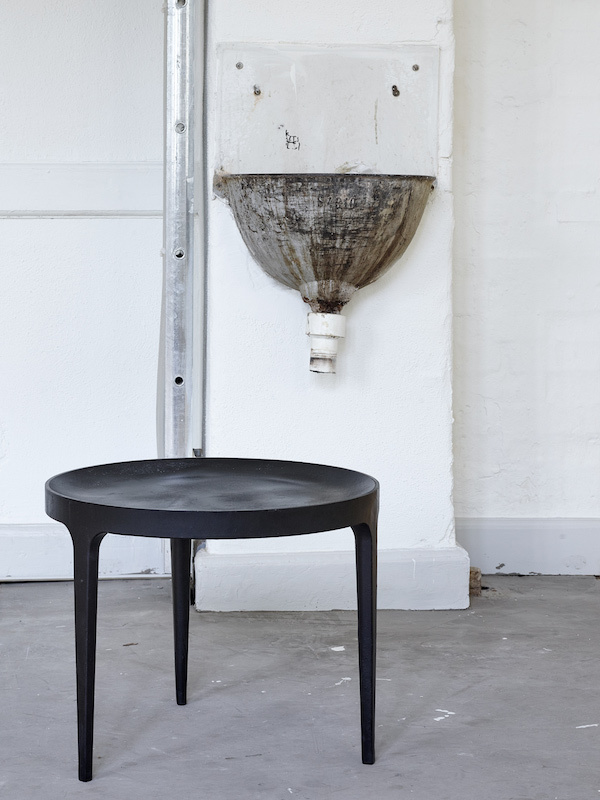 The 'Insert Side Table' comes in natural and black stained ash. I am always most attracted to the harder materials such as steel, aluminium and marble and trying to bring in softer materials into my home for a long time. 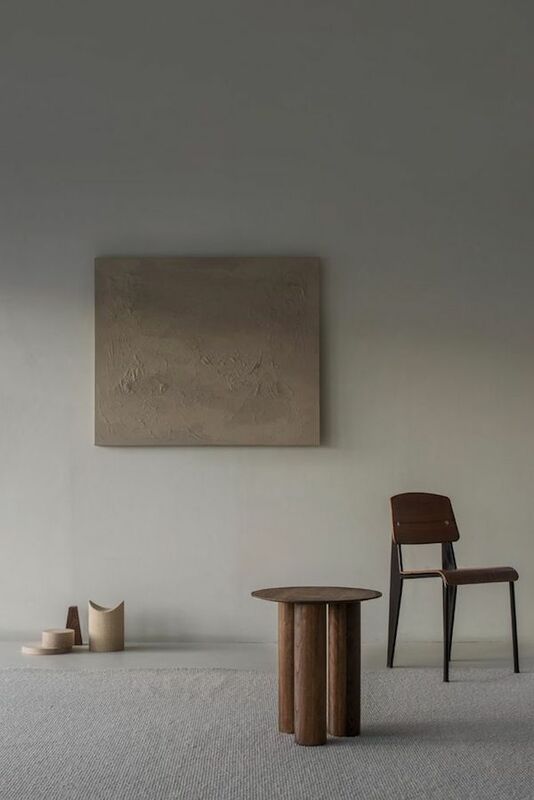 I can't help to just love these materials though and the small Ghost table by Norr11 certainly is on my mind as well. This is a solid table in cast aluminium with three legs and table top with a groove in the outline that beautifully highlights the qualities of the material. The table is removed directly from the mould without polishing, which gives each table a unique rough surface with the texture of the mould. 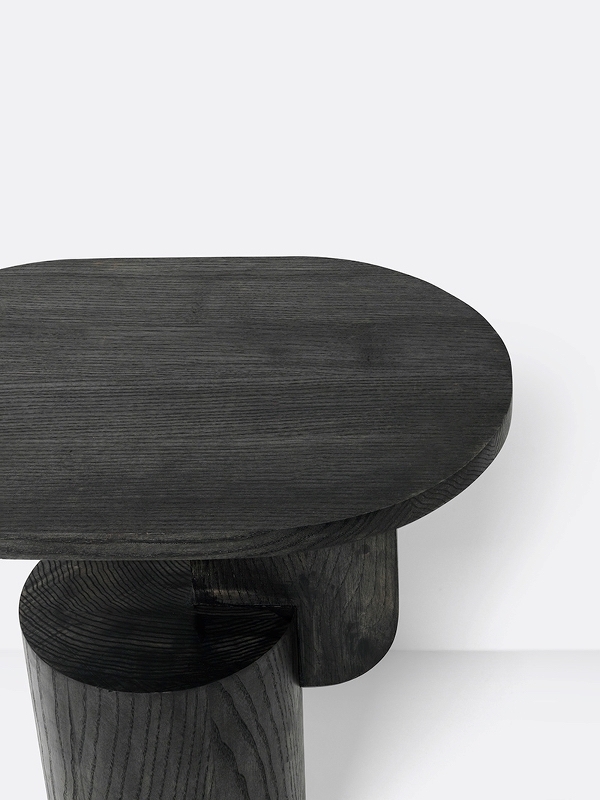 The black-painted table has a beautiful and diverse surface, with alternation between a matte and reflective finish.